You know how people need oxygen to breathe and live? Well, cheese has that level of importance in my life. 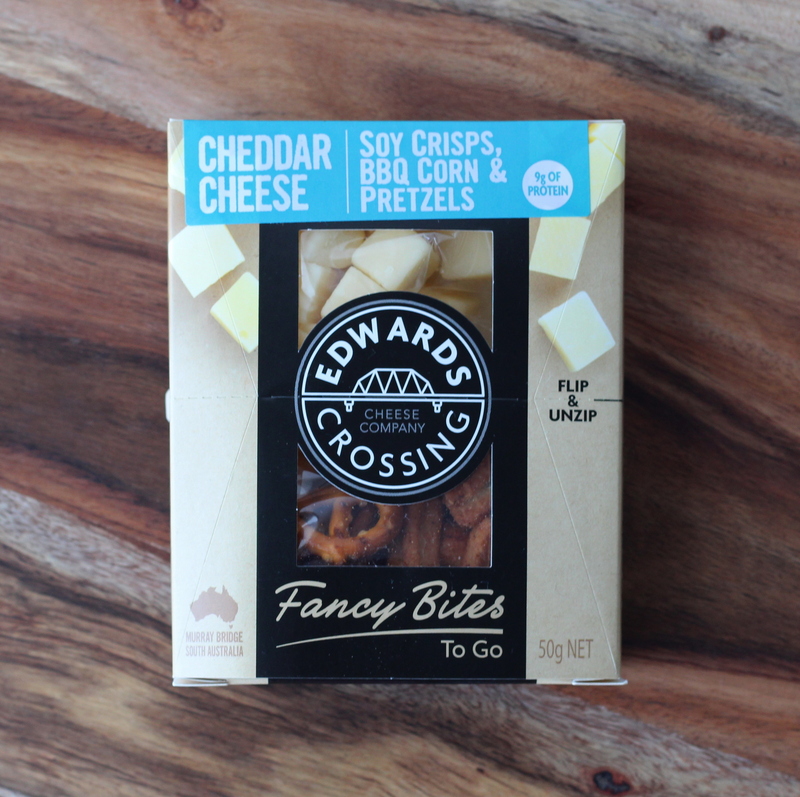 So, upon receiving a delivery bright and early at 730am on a crisp Saturday morning, you can only imagine my level of excitement, as I impatiently opened a goodie cool pack that was saturated with cheese products by some of South Australia’s finest – Edwards Crossing Cheese Company. 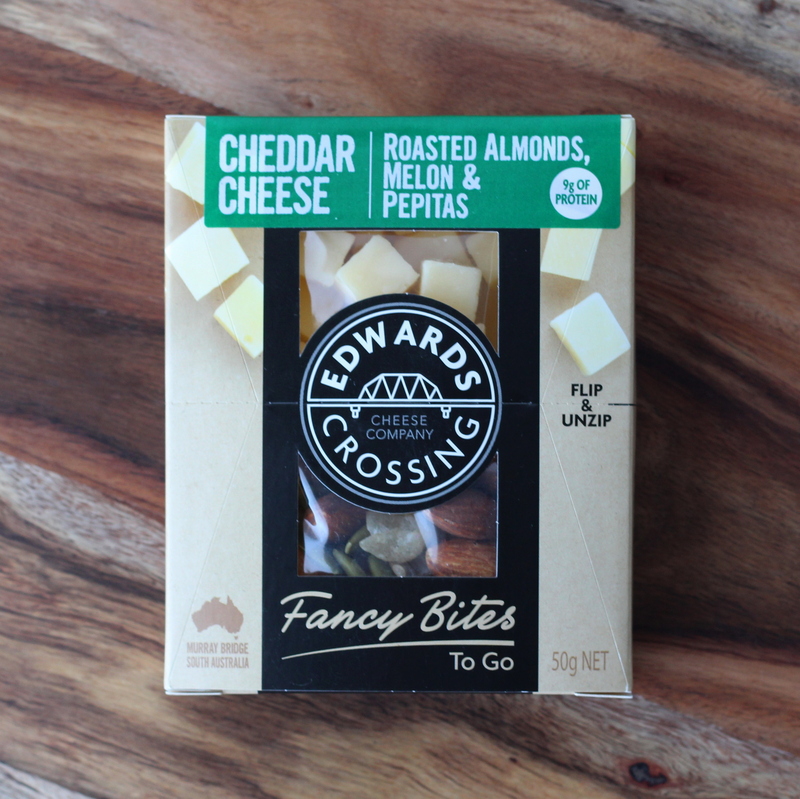 An “award winning cheese company”, Edwards Crossing is one of South Australia’s favourite producers of cheese, which is made from only the finest of dairy milk. 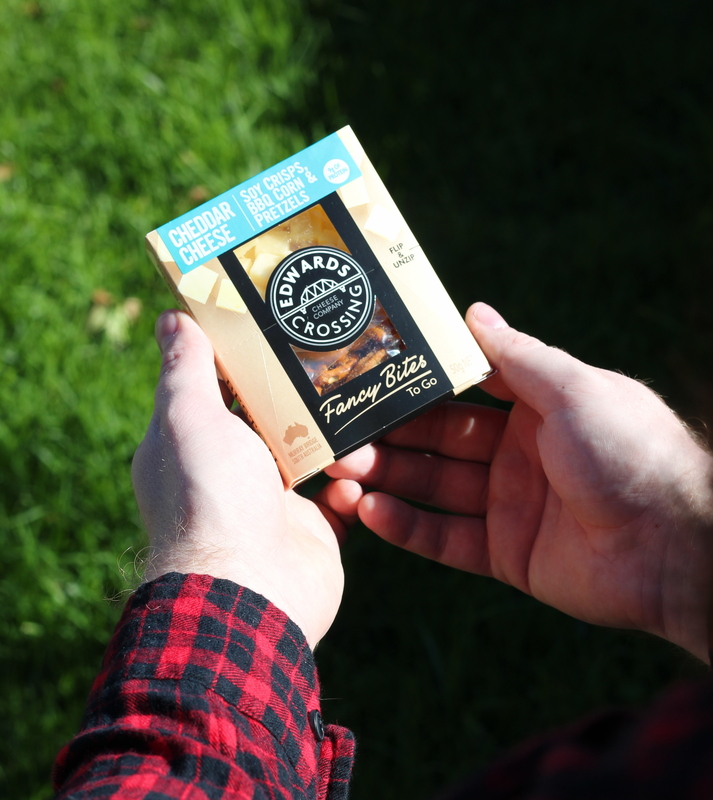 Having won several awards for their versatile options of cheese, it is no surprise that their newest product on the market is obsessively delicious, snackalicious, and oh so fresh! 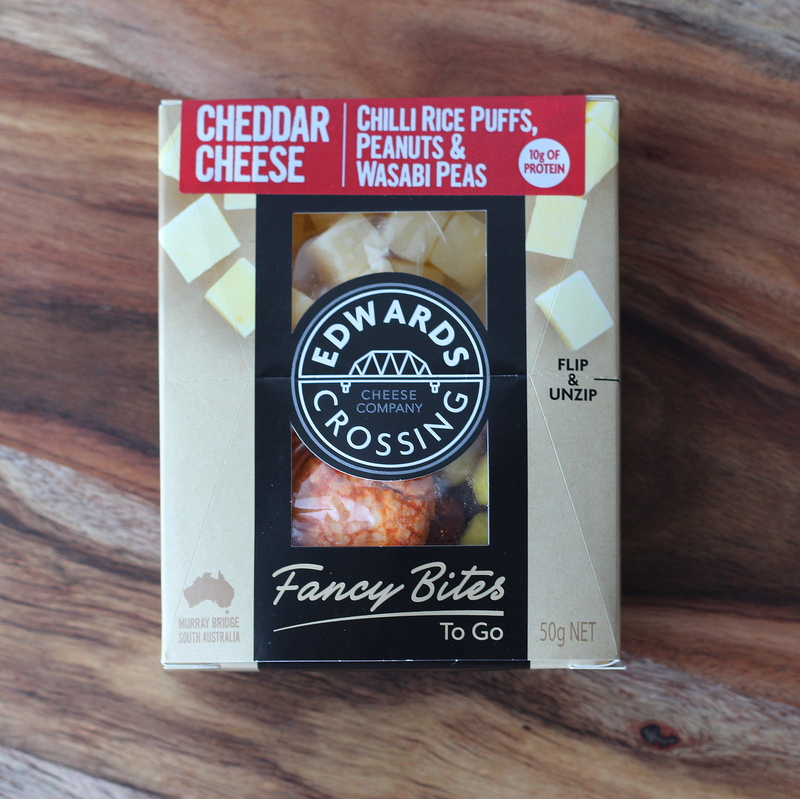 The newest product to come out of Edwards Crossing is the perfect sized snack pack that anyone and everyone can enjoy on the go. 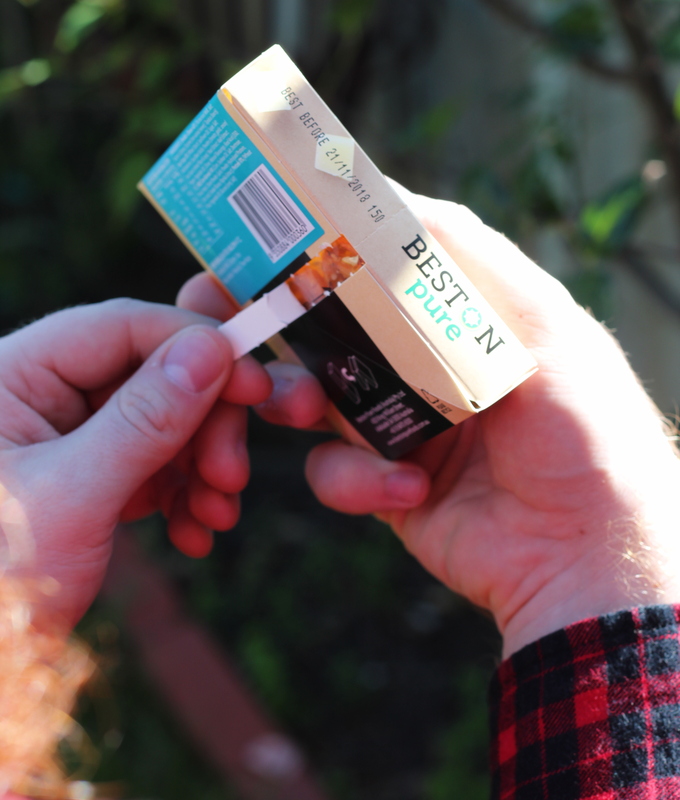 I love how the packs are fun-sized – they can easily fit into your purse! 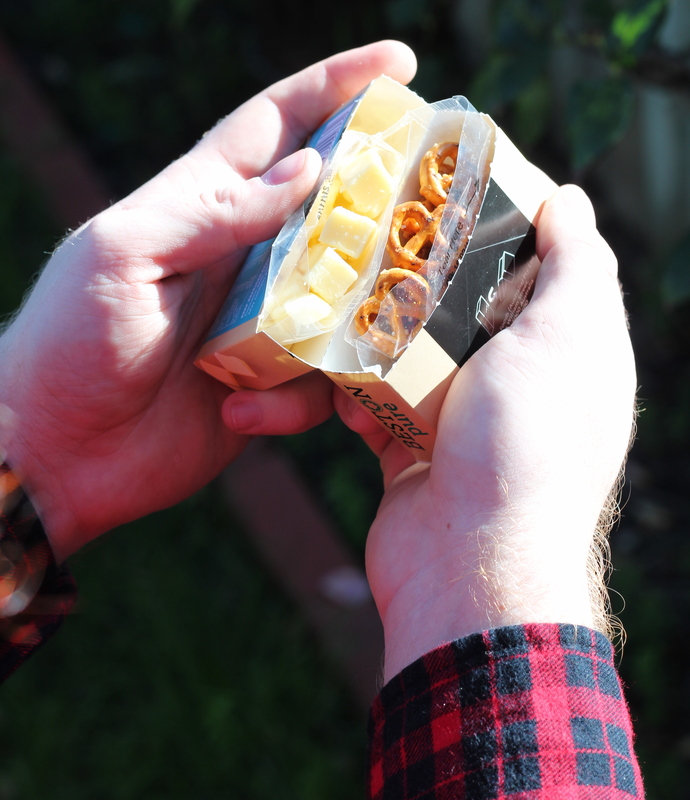 The process of unzipping and unraveling the snack pack is like unwrapping the best present a cheese lover could receive! You can also enjoy the cheese cubes and the trail mix separately, but of course, your tastebuds are in for a party by combining the two together! There’s this spicy tang in the mix, which complements the smooth and velvety texture of the cheese ever so beautifully. They are also packed with lots of protein and calcium, so you ensure that this is a snack that will leave you energized and well-nourished. These delightful babies are now available at your local Woolworths, so next time you (conveniently) forget your food or are looking for a quick pick-me-up, why not give these Fancy Bites a go? ✓ Flip, unzip, and enjoy! Soy crisps, BBQ corn, & pretzels – the saltiness from the pretzels, combined with the creaminess from the cream is what dreams are made of!